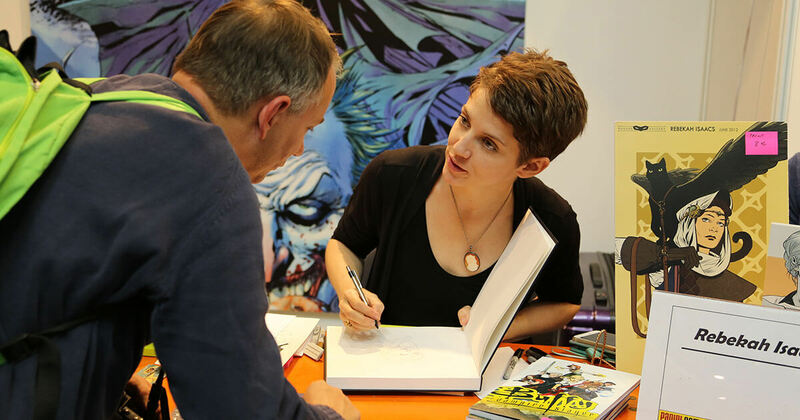 Are you a comic artist, comic author or illustrator? If the answer is YES then Comic Zone is the right place for you. 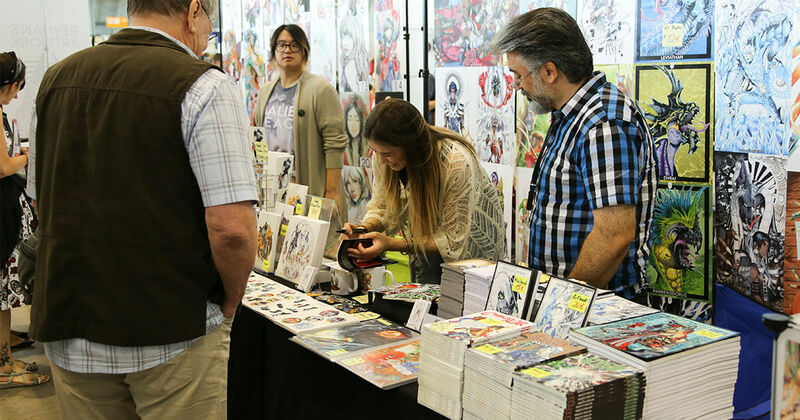 CCON | COMIC CON GERMANY will be a large gathering of German and international Comic Artists. Our task is simple: bring together artists of every media, style, and level to provide a platform for presentation. Here you can interact with your fans, sell your newest art prints or sign comics. And of course, there will be many publishing companies for you to get in contact with. 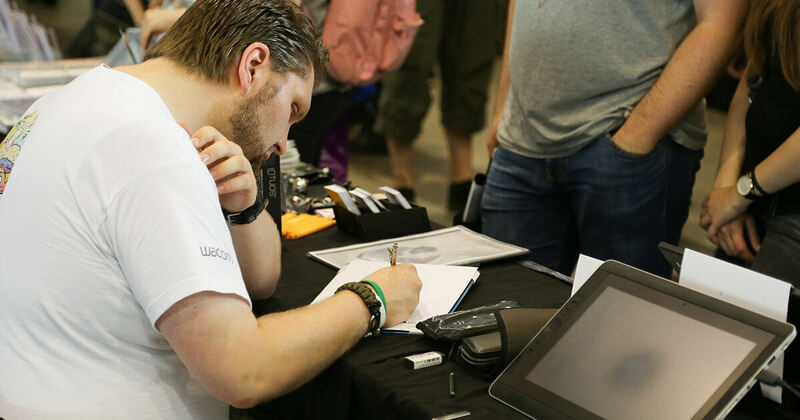 The most important information about our drawing tables has been compiled below in the FAQ. 1How do I order a table? Use the the shop and order the table you want. We will check on your application and then decide on it. 2What kind of tables are there? 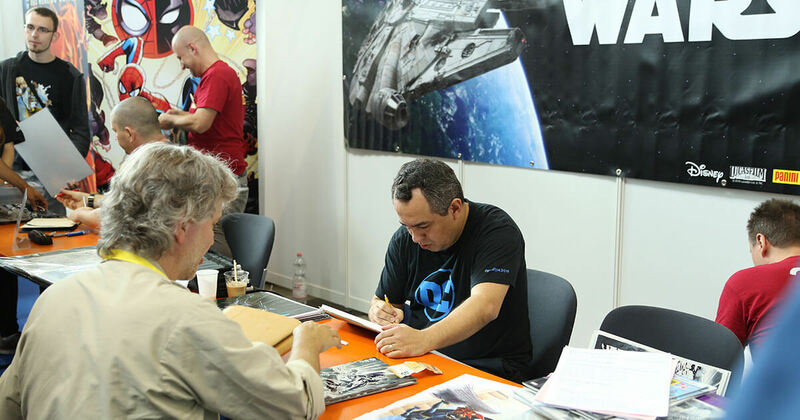 We are providing two types of tables for comic artists. Our centertables do not have a back wall and measure up to 220 cm to 50 cm. 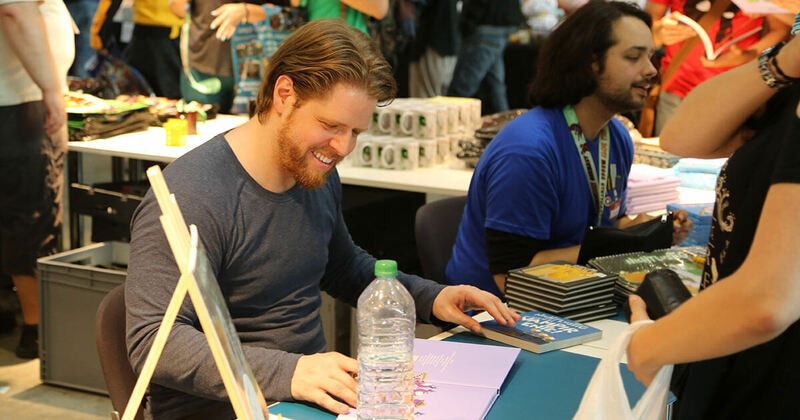 Centertables are limited to one comic artist each for the amount of EUR 50,00 incl. VAT. In addition you can order the same table with a back wall for the amount of EUR 150,00 incl. VAT. This table provides you with the possibility to present artwork behind your table.You can share your table with another artist or order several tables for more space to present your artwork (each table adds up to EUR 150,00 incl. VAT). 3What size is the table? Our table measures are: 220 cm x 50 cm. If you order a table with backing wall you can order a second table and double the size of the table space to 220 cm x 100 cm for 20,00 EUR incl. VAT. 4How do I pay for the table? We will get back to you by January 2019 to let you know whether we can provide you with a table. We will sent you an email with the invoice for the table and costs for other booked options. After your payment has been received we will send you a confirmation letter. 5Can I bring my own tables? 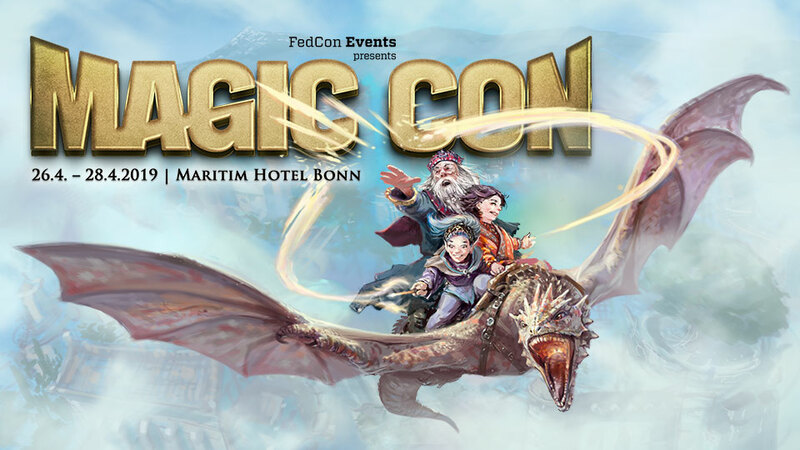 No, all tables will be provided by CCON | Comic Con Germany. 6How many chairs will be provided? For the centertables we provide one chair. For the tables with back wall we provide two chairs. 7Can I share my table with another artist? Yes you can share the table with one other artist. Please note that one artist has to order the table and pay the fee for the entire table. 8Do I need to obtain a ticket as an artist? 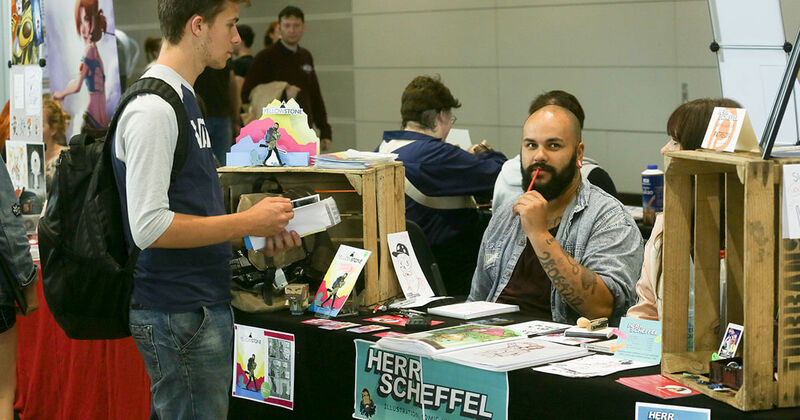 No, if you have received confirmation of an artist table you have free access to the convention. You will have the same access rights as a weekend ticket holder. If you share a centertable with another artist you need to order an additional exhibitor ticket. 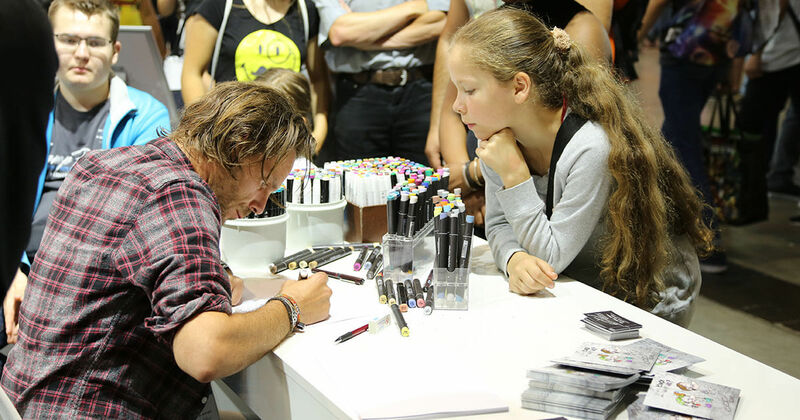 If you share your table with a backing wall with another artist please write to comiczone@comiccon.de to receive an additional ticket. 9What about my assistant or other people that want to help me? Before the event, you will receive access to the exhibitor portal of the Messe Stuttgart. There you can buy extra tickets for additional people at your table. 10As an artist, can I park at the fair? Yes, there will be special parking spots for exhibitors. Parking will cost a fee. 11Can I use clips and screws for my displays on the table? You can use clips but you cannot use any screws on the tables. If you damage the table, you will have to pay for he damages. 12Will CCON | Comic Con Germany provide tablecloths? No. We will not provide you with tablecloths. You are obliged to bring your own. All tables must have a tablecloth on them before putting any items on the table. For fire protection the tablecloth must be of low flammability (fire resistance 1), like molton fabric. 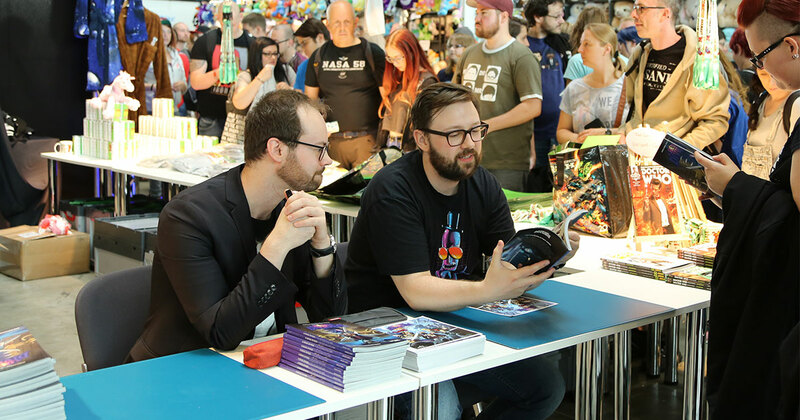 13What happens to items left behind after CCON | Comic Con Germany? Please make sure that all your belongings will be taken away after the show. We are not liable for items left behind and all items left behind will be disposed at the artists costs. 14Can I cancel my booking? The reservation is binding, a cancellation is not possible. You may transfer the complete booking to another artist. 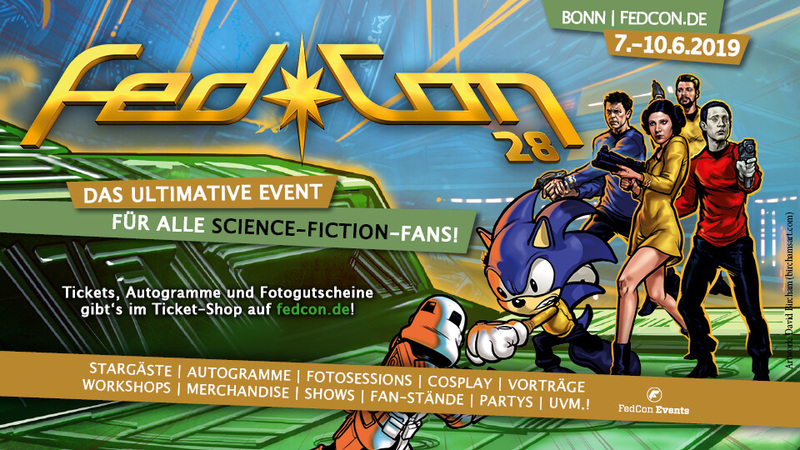 Please contact us via email under comiczone@comiccon.de . 15Do you have another question? Please contact us at comiczone@comiccon.de if you have any questions. We will answer you as soon as possible.